…a gentle, non-intimidating approach to yoga. 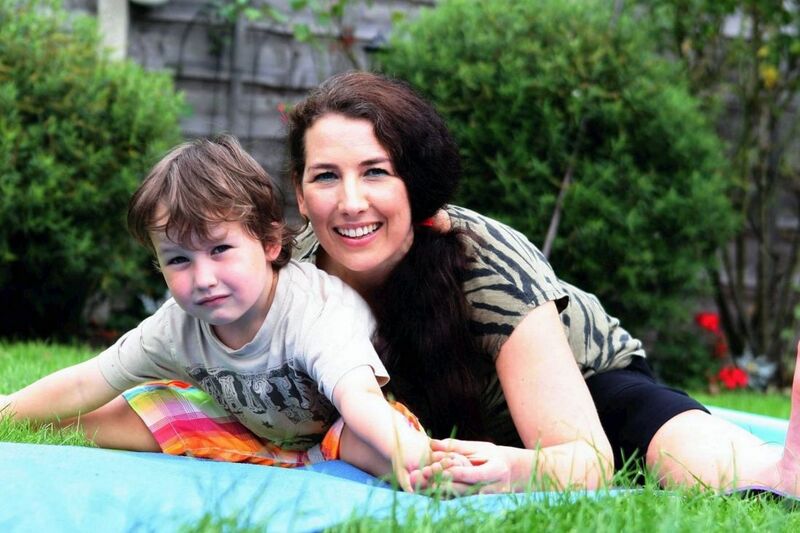 Regular adult classes plus a chair yoga class and a parent and toddler yoga class. My name is Claire Pickin and I run affordable traditional Hatha Yoga classes in Sale & Sale Moor. 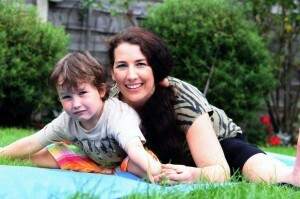 I have been teaching yoga since 2007 and practicing yoga with my yoga teaching Mum since I was a child. All classes are mixed ability and beginners are especially welcome (if you cannot get up and down off the floor then the chair yoga class will be the best choice). I also run a Parent & Toddler yoga class. 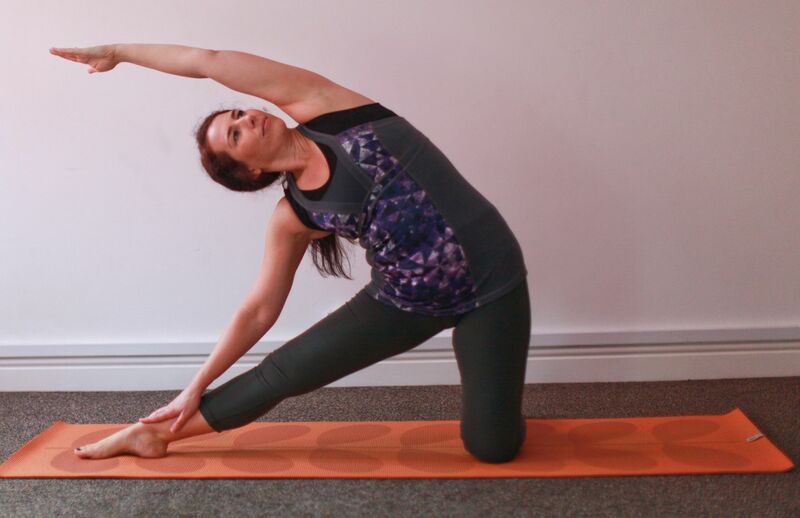 If you want to improve your flexibility, strength or need help with stress control or anxiety then these classes could help you, my classes encompass all aspects of yogic practice not just the physical postures. I weave small amounts of yogic philosophy into the sessions which will hopefully make your experience more complete, whatever level of practice you are at. I also teach as sensitively as possible with no unnecessary hands on assists, just advice about safe alignment. I am trained in giving physical yoga adjusts but use these mainly in a one to one setting where necessary. My teaching style is very much geared towards allowing the students to feel and experience the postures without pressure to go deeper if that does not feel appropriate. Safety is always the priority. If you feel unsure or nervous about attending a class then contact me to arrange a one to one session to prepare you. (this is open to ladies only) Please note we do our relaxation at the end of the class with lights off, this means it is quite dark in the room during evening classes in the darker months. If this is an issue for you then please let me know and I can ensure you are located in the part of the room where there is more light. Feeling safe is of utmost importance. I have had training in CBT, NLP and hypnotherapy, I find studying these modalities has greatly improved my communication skills which in turn enhances the teaching of my classes. Some classes are drop-in (see classes tab for details), just bring a mat if you have one or let me know if you need to borrow one. Please wear something comfortable. Pregnant ladies are welcome in classes if they have practiced yoga before, I am trained and insured in Pre and Post Natal Yoga Teaching. If you would prefer a specialist Pregnancy class then please see the links page. If you would like to contact me before you come to class, to ask any questions, feel free to email or phone. Spring 2019 – Please note the Monday Parent & Toddler Yoga class is affected by school holidays and Bank Holidays over the Spring. You can click the link on the calendar page which takes you to my live schdule on Yoga Trail or if you use the Hoop App – you can check toddler class dates there. Or simply message me to check! For details of all other classes – the live schedule on Yoga Trail is the quickest way to check, or see the frequent updates on my Facebook page. Yogi Claire Online Content – an added bonus for regular class members: In April of 2017,After about 2 years of thinking about making online yoga videos for class members I finally got round to filming some! If you are a regular class member you can have access to these 12, 15 and 30 minute yoga videos on You Tube. They are mini stand alone practices to supplement your weekly classes with me and you can join them together in any order for a longer session. Simply send me your email address or see me in class and you will get the secret links. I produce similar work on Sound Cloud – but these are audios of short relaxations and meditations I have recorded for you to do in the comfort of your own home, perhaps after the online yoga practice or whenever you are feeling frazzled! Please note the online content is free but if you would like to contribute to the on-going costs of this service please feel free to make a small one-off contribution using the PayPal button on the right of this page. Many thanks. To follow on Instagram, see www.instagram.com/yogiclaire99 connect with me there.